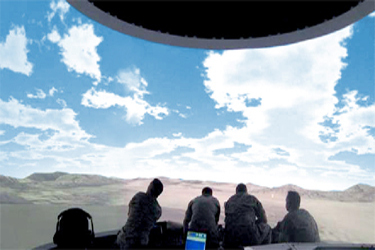 The Supporting Arms Virtual Trainer-SAVT training device provides two training environments; the Primary Display, (a visually immersive training environment) and the integrated After Action Review room. The SAVT training device provides a hands on, mission-based training environment that fully replicates the entire CAS mission training event. The SAVT simulates training scenarios that require the placement of tactical ordnance on trainee selected targets using Joint Service approved Close Air Support (JCAS) procedures and Surface Indirect Fires procedures (Naval Surface Fire Support (NSFS), Artillery and Mortar) to perform destruction, neutralization, suppression, illumination/ coordinated illumination, interdiction, and harassment fire missions. Supporting Arms Virtual Trainer-SAVT will Train JTACs, FACs and Forward Observers in the placement of tactical ordnance for Close Air Support, Naval Surface Fires, and Surface Fires to support initial schoolhouse qualification and Annual Currency requirements. Supporting Arms Virtual Trainer-SAVT is fielded at six certified Marine Expeditionary Force (MEF) I, II and III sites to be used for JTAC practical application training prior to live fire training qualification to improve the students proficiency and thereby improve their performance during live fire. Additionally, SAVT has been certified by the Joint Close Air Support Executive Steering Committee to replace 33% of live fire training controls required for JTAC annual currency training.Upon conclusion of the training event, the evaluator can conduct After Action Review with the Student JTAC(s) either in the Primary Display or the AAR room. AAR will include aural, 3-D and 2-D visual cues and text log to document the student’s actions and present a performance grade. AAR is a complete set of playback tools with each event being time stamped to allow the Instructor to easily select any event to begin the debrief. The SAVT training device provides the following capabilities: Emulated Communications Nets, Laser Range Finder, Laser Target Designator, Speech Recognition, speech enabled Intelligent Agents for ground and air assets’ time-based action item review, and an advanced automated grading system. The SAVT grading system is based on Joint and Service Standards, doctrine, and approved JTAC training curriculum based upon United States Marine Corps Training and Readiness manuals. The trainer consists of a large, 15′ high x 10′ radius dome. Mutable high resolution projectors create a seamless 240° horizontal and 60° vertical field-of-view image. The student training station, in the primary display area, provides the two student team a set of hand-held toolsets that emulate the functionality of operational equipment required to accomplish their mission. 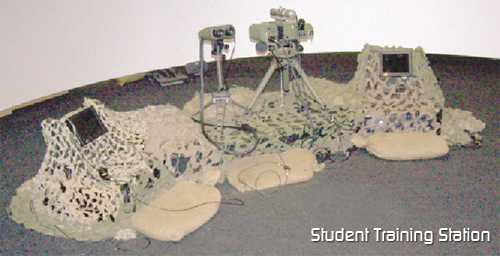 Students use actual operational Night Vision devices (i.e. AN/PVS-14 & 15) that are stimulated by the Multipurpose Supporting Arms Trainer (MSAT) primary display. Each student station has a small LCD touch-screen display which is used to provide a simulated DAGR and virtual radio communication.All training is initiated, monitored and controlled by one operator and one instructor. The instructor observes monitors, evaluates and assists the two student team, and the operator controls the training session from the IOS console. The operator may pause, resume, and stop scenarios, and can initiate new events during runtime. All events that occur during a training session are recorded for use during After Action Review. 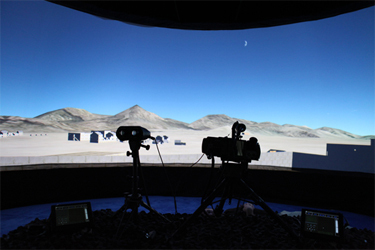 In the Supporting Arms Virtual Trainer-SAVT system, three separate hand-held devices are used to emulate the functions of the binoculars, laser rangefinder, GPS locator (DAGR), laser target designator, and laser illuminator. Each of the emulated devices have tracking sensors to reflect its orientation in the room, and where on the Primary Display it is marking a location in the 3-D simulated battlefield with three degrees-off freedom (3DOF) sensors. The host computer combines the 3DOF orientation data and student usage actions to generate IR pointer, Laser Range Finding and Laser Designation events that are usable internally and published as distributable HLA objects. 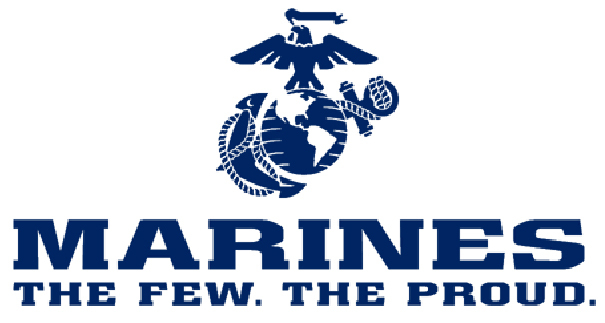 The United States Marine Corps will field the SAVT systems at Camp Pendleton, CA, Twentynine Palms, CA, MCB Hawaii, Camp Lejeune, NC, Camp Hansen, Japan and MCAS Yuma, AZ. The Instructor Operational Course (IOC) will be presented in Jan 2010, and Full Operational Capacity (FOC) in November 2010 to support JTAC Annual Currency Training to reduce live fire training costs. As a part of the USMC baseline I upgrade, SAVT will benefit from USMC investments. New hardware/software will include Strike Link, Portable Light-weight Designation and Rangefinder (PLDR), Video Scout, additional fire assets, Emulated Radio and enhanced visual terrain databases. Additionally, both US Navy and USMC are generating requirements for Air-Ground Interoperability standards for future aviation simulation trainer interoperability with SAVT. 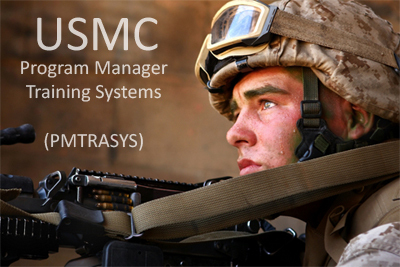 The Program Manager, Marine Corps Systems Command (PM TRASYS) is assigned the responsibility to provide training support services and development, delivery, and life-cycle sustainment of training systems and devices. PM TRASYS provides various products and services including: training analyses, training technology research and development, distributed learning capabilities, simulations, simulators, minor training devices, mock weapons, range targets and instrumentation, training observation capabilities, after action review systems, training personnel, and combat environment role players. 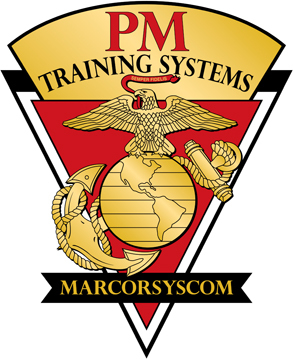 To accomplish its mission, PM TRASYS has a staff of over 160 Marines, civilians and contractor personnel of the following professional disciplines: program management, instructional systems design, engineering, training facilities engineering, logistics, contract management, economic analysis, budget and financial management, business operations and administrative support. Our Mission - Improve the War Fighting effectiveness of the MAGTF and globally deployed Maritime Expeditionary Forces by providing training support and developing and sustaining training systems and devices.